The Los Angeles Times sells ""hard"" copies of the newspaper, going back 3 months, on a first-come, first-serve basis. Note that papers can be purchased until they are either sold out or recycled -- whichever comes first, and are sold through the Back Issues department. Back issues do not include special sections, ads or inserts and all are final sales and non-refundable. Current back issue rates, which include shipping and handling within the United States, are $11.99 Sunday and $7.99 for a daily paper. If you need information on international rates, please forward your inquiry to back.issues@latimes.com. Due to copyright matters we are unable to sell more than 5 papers of any particular date. 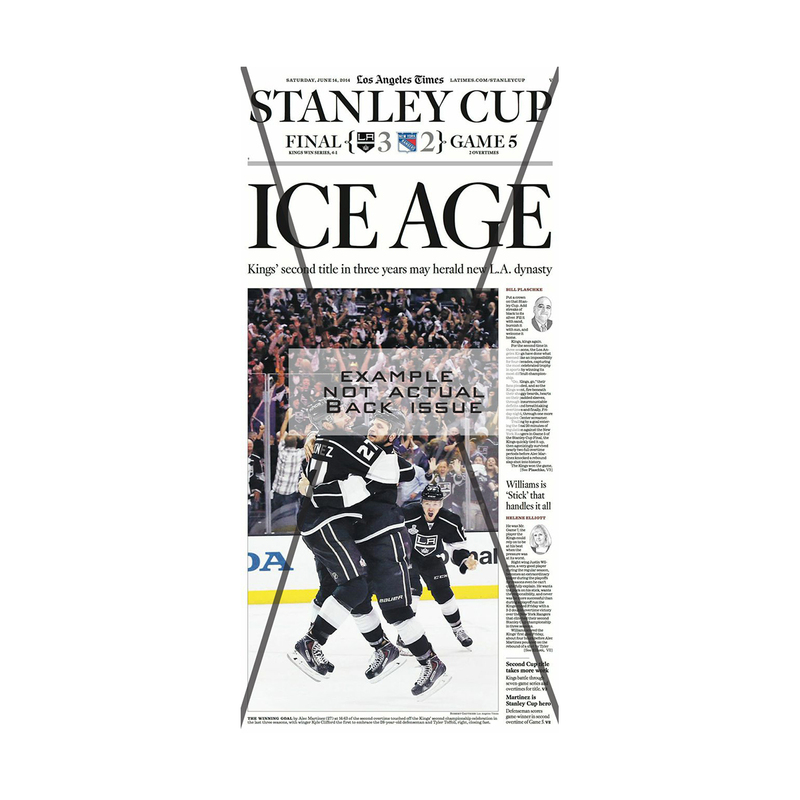 If your order requires more than 5 copies, you must forward your request to the Reprints and Permissions department at reprint@latimes.com. To order other back issues, click the ""Shop for more items"" icon in the shopping cart page after adding your first order to the cart. Verification of correct payment will be made prior to shipment of the back issues.